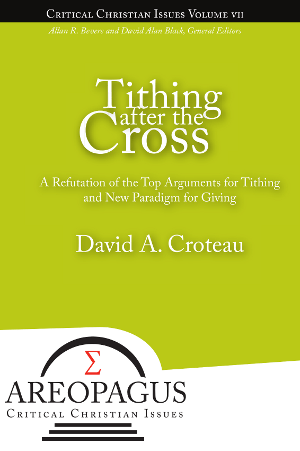 Author David Croteau, Tithing After the Cross. shares his view recently on Today’s Christian Woman, How Much Should I Tithe? Dr Croteau is joined with Ruth Soukup and Dave Ramsey. And on January 17 @ 8a.m., Dr Croteau will be on the Moody Radio’s Up for Debate program, Are Christians Obligated to Tithe?, with Dr Ken Hemphill and Julie Roys. Just click on the listening link to the right of the announcement on the Moody website to listen live.